Partnering with the best names in carriers: Polybags.co.uk, CarrierBags.com and DiscountCarrierBags.co.uk. Get printed carrier bags made with your own design. Thicker, smoother bags and the lowest prices on the web. Simple, fast and cheap! 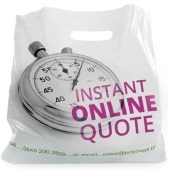 Get a quote on printed carrier bags in less than 60 seconds. Why wait for a price when you can get one in an instant? The classic crinkly carrier bag that gets the job done without you having to break the bank. Buy vest carriers today. 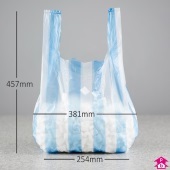 Whatever type of carrier bag you need, check out this massive range of carriers available off-the-shelf. 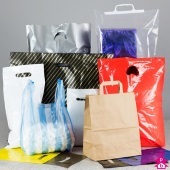 Vest Carriers is a division of Polybags, the UK's number one manufacturer of polythene packaging. 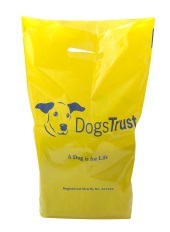 If you require any assistance regarding vest carriers or any type of carrier bag, including our bespoke printed carrier bag service, please get in touch. You can call us on 0345 200 2828 or complete the contact form below and a member of Polybags' team will be in touch. Please note our callback service is only available during standard UK office hours (Monday - Friday 9am - 5pm).